Cattle are at their greatest risk of grass tetany in spring when conditions typically include cloudy skies, cool soils and lush quickly-growing cool-season grasses. Risk can increase with highly fertilized, permanent cool-season pastures or annual seeded grasses like wheat or ryegrass. 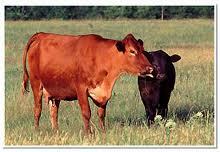 Older and/or lactating cows are at higher risk than young cows. Talk to your local Purina representative to learn more about Wind and Rain® Storm® Hi-Mag mineral, or visit ProofPays.com to start your feeding trial. This entry was posted on Saturday, March 30th, 2019 at 2:18 pm	and is filed under Cattle, News & Updates. You can follow any responses to this entry through the RSS 2.0 feed. Both comments and pings are currently closed.